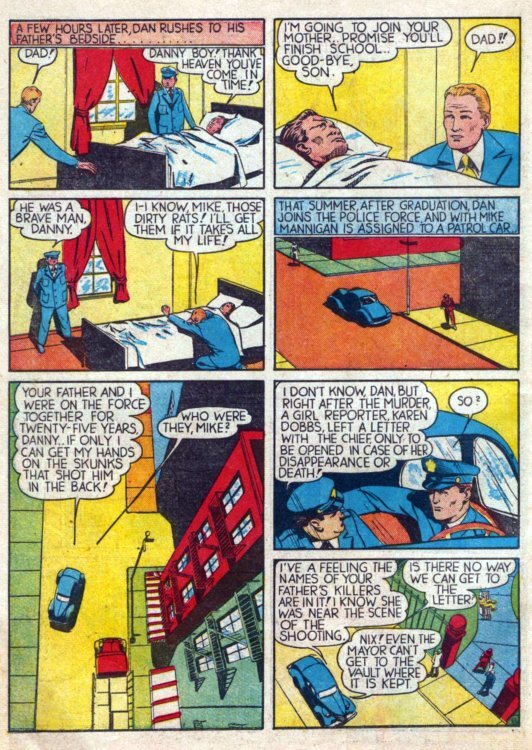 Despite a rough upbringing in the slums, including the death of his mother during an epidemic, Dan Garret becomes a scholarship student at State University, not only making Honor Roll, but becoming a letterman at several sports as well. 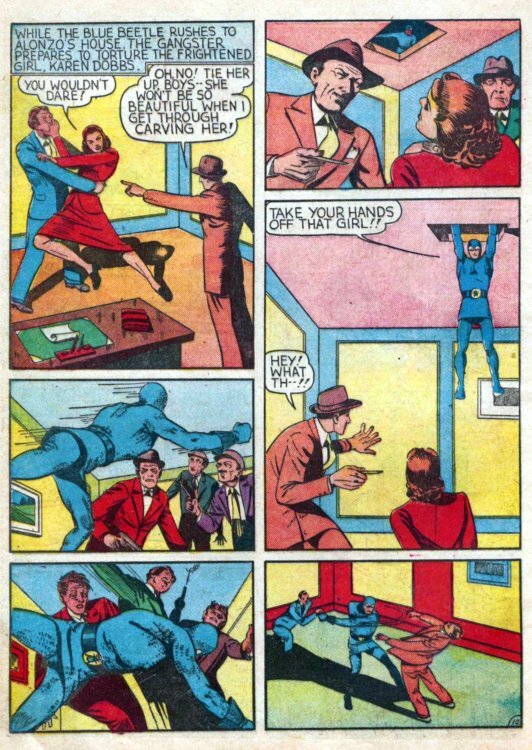 You'll note there's no explanation of how or when Dan developed the Blue Beetle identity or costume. 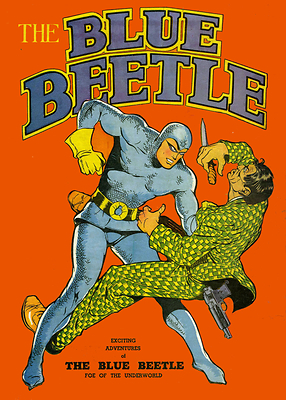 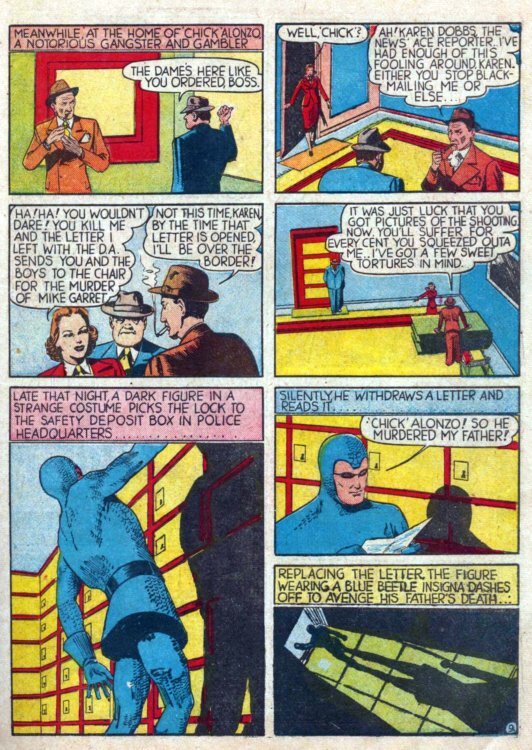 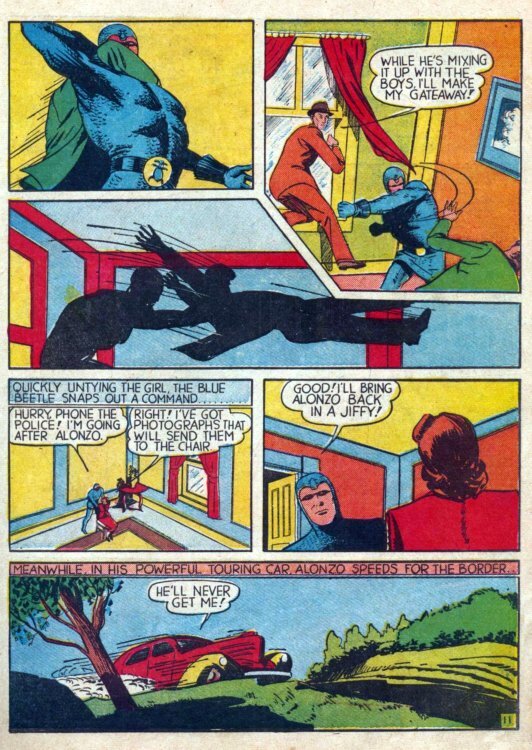 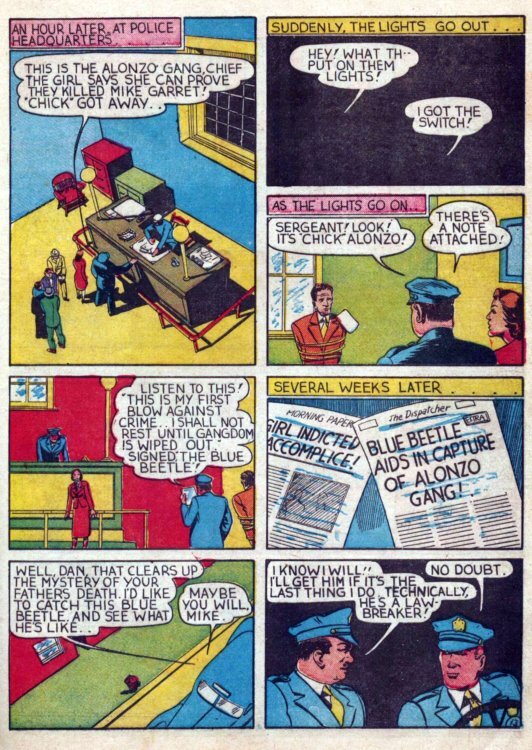 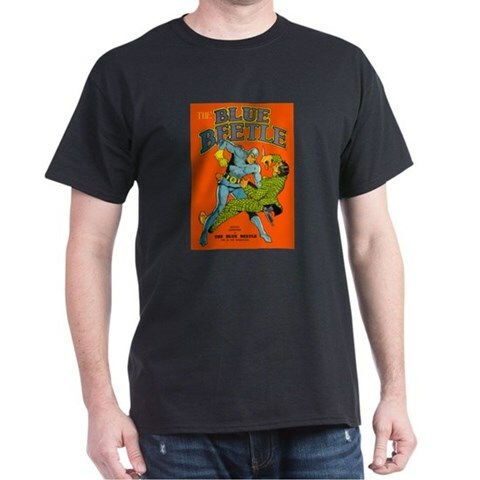 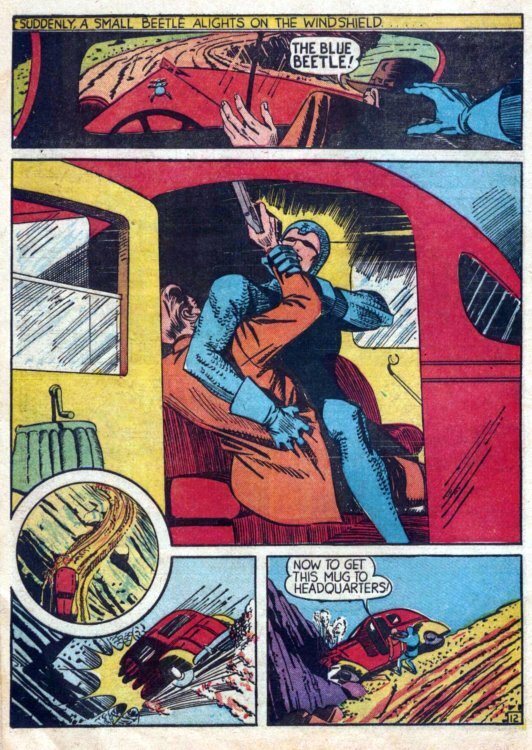 And, following this tale in the first issue of his own book, are reprints of Blue Beetle's first few appearances from Mystery Men Comics, including his premiere, which featured him in a radically-different costume!